Geoffrey Burkhardt, Ph.D. Australian National Museum of Education This entry posted July 16, 2015 . Between 1789 and 1830 approximately half of the teachers who taught in the schools of the colony of New South Wales arrived as convicts. This entry concerning the use of convicts as teachers in early colonial schools asks why there was a need for school teachers in what was founded as a penal colony. Why were convicts and emancipists employed as teachers during the formative years of the colony? Who were these convicts and emancipists? What were their crimes and what did they teach? No official provision was made for the inclusion of a school teacher among the government personnel in the First Fleet, regardless of the fact that 34 children under 14 years old sailed with it. Twenty babies were born shortly after arrival. By 1800 there were 958 children in the colony and it was obvious to the governors of New South Wales from as early as 1788 that provision needed to be made for the schooling of the children of transported convicts, military personnel and government officials and their employees. Although a strong case existed for the establishment of schools in the colony, the absence among the comparatively few free settlers of literate and well educated people available to act as teachers led to a consideration of the use of well educated convicts to fill this urgent need. Richard Johnson as first colonial chaplain had the responsibility for organising the first schools and appointing teachers. Image: Mitchell Library, NSW. The three most significant people contributing to the establishment of schools in the infant penal colony during the first twenty years were Rev. Richard Johnson, the settlement’s first chaplain, Phillip Gidley King, founder and Lieutenant Governor of Norfolk Island 1788-1797 later the third Governor of NSW 1801-1808, and Rev. 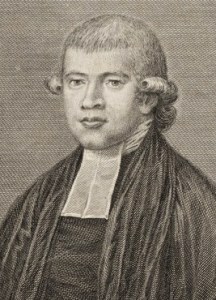 Samuel Marsden, who arrived in the Colony as Assistant to the Chaplain in 1794. The majority of convicts who were assigned as teachers were convicted of theft. Other offences included assault, forgery, “industrial sedition”, and participation in the 1798 Irish Rebellion. This latter offence producing some of the most highly educated of the colonial convict teachers. Of the 68 convict teachers identified, fewer than ten were teachers prior to conviction. The majority received seven or fourteen year sentences. Twenty had received life sentences. Fortunately, among the transportees there were a few literate and well educated individuals capable and willing to take on the task of teaching, a small number of whom had teaching experience back in England and Ireland, prior to their conviction as criminals. Rosson was the first teacher to be appointed in the colony. Born in 1753 in humble circumstances, she was in service as a laundress in London. She was convicted of the crime of theft from her mistress and sentenced to seven years transportation. Rosson gave birth to a daughter aboard the convict ship Lady Penrhyn. In Sydney on 5th September 1789 Isabella Rosson married fellow convict, and fellow teacher, William Richardson. She continued, with her husband, to teach until 1810. Rev. Richard Johnson, colonial chaplain with the First Fleet, established the first school, thought to have been a “dame school” to which Isabella Rosson was assigned in 1789. It is believed to have been established within eighteen months of the arrival of Governor Arthur Phillip’s contingent in January 1788. Richardson was the second convict to be assigned as a teacher. He was transported as a convict to Sydney on the ship Alexander in the First Fleet. He was born in 1762 at Beverley, Yorkshire. He was convicted in 1783 for an attack on a servant and received a death sentence, later remitted to seven years transportation. After serving out his seven year term as a teacher in Rev. Johnson’s school, Richardson joined the newly arrived N.S.W. Corps in March 1792 as a private having been a servant to Captain James Meredith of the First Fleet marines. In 1789 he married Isabella Rosson. In 1801 he was promoted to sergeant in the Corps although still continuing his teaching duties, listed as “detached” from the Corps, until May 1810 when he and his wife returned to England with the recall of the NSW Corps. The table at the end of this entry summarises the length of service of all those transportees who, at some during their time in the Colony of New South Wales, served at school teachers in private venture schools, dame schools, church schools or government supported schools. In 1810 Hughes was appointed to Governor Macquarie’s new Charity School at Windsor where he taught until 1813 when he was transferred to Richmond school. At Windsor he was paid 60 pounds per annum. He was given a land grant of 65 acres. Hughes died in 1845 and is buried in St. Peter’s Richmond churchyard. He continued to teach at Richmond until at least 1841. During his time in the colony he was regarded by all as an excellent citizen, but a strict teacher. He was a staunch Methodist and was, in his later years a member of the Committee of the Emancipated Colonists. What level of education might Hughes have attained to have been approved as a teacher prior to his pardon in 1802? As a non-commissioned officer in the British army at the time of his conviction to transportation, it would have been usual for him to have achieved at least the equivalent of a successful completion of five or six years of elementary school, and perhaps, one of two years of secondary level education. However there does not appear to be any evidence of him having attended a grammar school. Wensford arrived on the Earl Spencer in 1813. He was born in Worcester in 1784. He was sentenced in 1812 for 7 years and at the time of his conviction was a soldier, a lieutenant in the dragoons. He received a ticket of leave and later a certificate of freedom. In 1815 he was sent to Newcastle to become the first school teacher in the settlement there. From the Colonial Secretary’s records, on 5 May he sent the Colonial Secretary a list of the names and ages of all his children at his school in Newcastle. In 1819 he settled at Wallis Plains, but in 1820 returned to Sydney where he was appointed schoolmaster at Castlereagh. Henry Fulton arrived in Sydney on the Minerva in 1800 having received a life sentence after been convicted of “Seditious Practices” during the Irish Rebellion in 1798. Fulton was born in 1861, but there is uncertainty about his place of birth. The Australian Dictionary of Biography entry states he was born in England, while the Nepean District Historical Archaeology Group website states that he was born at Lisburn in County Antrim, Ireland, son of a wealthy damask manufacturer. He graduated from Trinity College Dublin (B.A.) in 1792 with an outstanding academic record in the classics and mathematics. He joined the Church of Ireland in which he was ordained a minister and posted as a curate to a parish in East Galway. When Fulton arrived in Sydney in1800 he was probably one of the best-educated persons in the whole of the colony at that time. Whether he was justly or unjustly convicted of a political crime is still debated. It is claimed that he joined the Society of United Irishmen and that although he had sympathies with the Irish rebels and may have assisted their cause, he did not actually participate in the rebellion. His wife Ann and two children accompanied him to New South Wales. Within a few months of his arrival in the colony Fulton was granted a conditional pardon by the Governor who apparently respected his abilities and believed it was appropriate to make the best use of the talents of a well-educated clergyman. He was appointed as assistant chaplain and teacher to the Hawkesbury District for a short period until 1801 when he was appointed Assistant Chaplain in Norfolk Island. He remained there until 1805 when he was given an absolute pardon which made him eligible to be appointed as a Crown Chaplain to the colony. By 1808 Fulton had become a great friend and supporter of Governor Bligh in the Governor’s efforts to constrain the officers of the NSW Corps’ monopoly of trade in the colony. Fulton was present in the Governors’ house when Bligh was arrested by Major Johnston. Fulton was dismissed by Johnston as Chaplain of the Colony. During Bligh’s period of capture and confinement by Johnston, Fulton acted as Bligh’s chaplain and secretary. After Macquarie’s arrival in the colony Fulton was re-instated and following the arrest of the mutineers, Fulton accompanied Bligh to England in 1810 where he gave evidence at the court martial of Johnston. Upon returning to Sydney Fulton became chaplain to the Hawkesbury, living at Castlereagh, where he started a private school in 1814 for “Young Gentlemen” who were boarders at this school. Fulton taught classics, mathematics and modern languages to these specially selected sons of wealthier local inhabitants and at that time his school was one of the first in the colony to offer and teach a post-elementary, grammar school curriculum. During his many years in the Hawkesbury District, Fulton was highly regarded, not only by the local residents, many of whom were emancipists, but also by the governors of the day. He received land grants in the district. Governor Darling granted Fulton land in the Cowra district in the late 1820s. This was later managed by Fulton’s son. Macqueen was the third of the four teachers initially funded by the Society for the Propagation of the Gospel. He arrived as a convict on the ship Active in the Third Fleet in 1791 and was sent to Norfolk Island where Phillip Gidley King, discovering that Macqueen had experience as a school teacher. He was appointed him to the school King had established on Norfolk Island in 1793. Prior to Macqueen’s conviction for stealing, he had been a teacher at a school near Holborn, London. 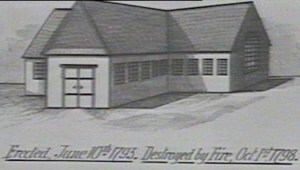 King built a stone schoolhouse in 1794 at government expense. Macqueen’s sentence was for seven years. MacQueen remained on Norfolk Island as schoolmaster and Deputy Surveyor till the settlement was abandoned in 1810. He then returned to Sydney for a short time until appointed by Governor Macquarie as schoolmaster at Port Dalrymple in Tasmania where he continued until 1822, then retiring on a pension. Goodin claims that Macqueen was the first school teacher in Australia to receive a pension. 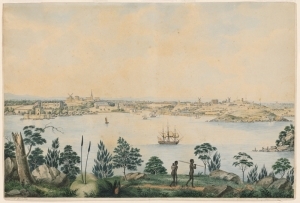 A view of Sydney in the late 1820s. Dixson, State Library of NSW. With Thomas Macqueen the other initial teacher on Norfolk Island was Sussanna Hunt, transported aboard the Lady Juliana in the Second Fleet. She was sent to Norfolk Island in August 1790. She was appointed by Lieutenant Governor King to teach the girls on Norfolk Island and like Macqueen, was also supported by the Society for the Propagation of the Gospel at a remuneration of 10 pounds a year. According to Flynn she lived with Norfolk settler and First Fleet seaman William Mitchell, who was later appointed as overseer of the Orphan School on the Island. In December 1807 Hunt, Mitchell and three adopted children sailed to Van Diemen’s Land where they took up farming at New Town. Sussanna Hunt died in 1814 and is buried in St. David’s Cemetery Hobart. Taber arrived on the Ganges transported in 1796 for life. He had been originally confined in Middlesex Gaol. He had a long and apparently successful career as a teacher in the colony, starting in 1796 at Sydney, continuing there until 1803 when he moved to Parramatta, and returned to Sydney as a teacher for the remainder of his career from 1805 until 1824 when he retired with a pension. He received an absolute pardon. According to the records of the Colonial Secretary, Taber was the Vestry Clerk and schoolmaster at St. Phillip’s Church in Sydney. He received a land grant at Menangle in 1818. His son Thomas Taber (Junior) followed his father in the profession of teaching taking up an appointment as a teacher in Sydney in 1821. Harpur was schoolmaster at the government school in 1811-1812 and following that, at Windsor school from 1813 to 1825. He was also parish clerk in Sydney, concurrent with his teaching duties. Harpur was transported with a life sentence as a convict and arrived on the Royal Admiral in 1800. He was born at Kinsale , County Cork, Ireland. His wife Sarah (nee Chidley) also a convict, arrived on the Alexander in 1806, serving a seven year sentence. In 1815 Joseph Harpur received an absolute pardon, and retired from his school at Windsor in 1825. In the 1828 Census his is listed an “Innkeeper, Windsor”. He died in 1842. Joseph Harpur was the father of poet Charles Harpur. The schools which were established within the first few years of the Colony’s founding were either dame schools, of the type in which Elizabeth Rosson taught from 1789 for a few years, initially in a tent classroom, or church schools of the type established by Chaplain Rev. Johnson in which William Richardson taught. These early schools were financially supported by the Society for the Propagation of the Gospel, from England. The first government funded Orphan School in the Colony was founded by Phillip Gidley King when he was governing the settlement of Norfolk Island in the 1790s. Convicts Thomas MacQueen and Sussanah Hunt were the first two teachers on Norfolk Island. Later King, when Governor of NSW, established the first Orphan School in Sydney. By the 1820s, in addition to the schools supported by the governors, the colony saw the establishment of a number of “private venture” schools such as those established by Laurence Halloran in Sydney and Rev. Henry Fulton at Castlereagh. Both of these men had been transported as convicts. From a copy of an enclosure dated 1827 addressed to Governor Darling and published in the Historical Records of Australia, there were twenty-six “Public Schools” listed in the Colony, enrolling a total of 1,220 pupils. This list included 101 pupils enrolled in the Male Orphan School then at Liverpool and 129 pupils enrolled at the Female Orphan School at Parramatta. What is surprising is that within twenty years of the foundation of what was initially a penal colony, established without formal provision for the supply of teachers for the children of convicts, emancipists, soldiers, civil officers and free settlers, approximately a dozen schools were functioning across the thinly spread population of the colony by 1810. The strength of the concern and urgent desire of colonial officials to provide schooling for children in the colony is revealed in the surviving records of the early days of the colony. The efforts of chaplains Johnson and Marsden initially, and the administrative foresight of Governors Hunter, King and Macquarie were major factors in the provision of schooling in the first few decades and were significant factors in the use of appropriately qualified convicts and emancipists as school teachers, particularly during the first two decades of the Colony. A factor often overlooked in investigations of employment during these early decades of the colony of New South Wales is the role of women in the new settlement, and particularly the role of convict women. In the first decades of the settlement four females were engaged to teach in the pioneer schools in the colony, Isabella Rosson, Sussanna Hunt, Mary Johnson and Elizabeth More Hume. Three of these were transported as convicts. In some of the stories of convict teachers we can see evidence of teaching being the business of families. Teaching, even in these earliest of colonial times provided opportunities for upward social mobility, especially for many who had received severe sentences for their crimes. Not only pardons but land grants, the opportunity to establish businesses and become colonial officials were all possible. Not all did so however. Colonial records also tell the stories of teachers who failed, teachers who were condemned for drunkenness and other failings. One of the problems that emancipists had in colonial New South Wales was the establishment and retention of their respectability. This was a significant issue for many free settlers as they considered the teachers and schools available for the education of their children. Exclusivist families were often profoundly disturbed by the possibility of too close a contact with the not-respectable. Sometimes they chose to send their children back to England for their education rather than have them influenced by teachers, and other children, who came from convict backgrounds. There was often not much choice in early New South Wales. The chances were high that even if children were to be educated at home, available governesses and tutors would likely have had convict histories. Though the early colonial chaplains were grateful enough for the efforts of many of the teachers they hired for the schools they opened, they believed, and this is especially the case for Samuel Marsden, that too many of them were Wesleyan in religious affiliation rather than Church of England. They would also have preferred to appoint men and women who were not or had not been convicts, but free men and women were in short supply. This shortage was probably exacerbated with the early problems associated with regular payment of teachers. Many were forced to rely on access to food and goods from government stores, and payment “in kind” from the families of their pupils. Nevertheless, teachers were hired early in the history of the colony, and schools supported by government and various church societies in England. In the words of Samuel Marsden, the colonial government had to take an interest in the education of the rising generation. Without such interest the cycle of criminality could not be broken. Schools and good teaching were required to “root out the vile depravities bequeath’d by their vicious progenitors”. The ways in which convict and emancipist teachers were trained or prepared for the work are not often known, although it is likely that in the best of circumstances there may have been some prior experience and informal apprenticeship. Henry Fulton’s prior education was very much an exception to what was most common. In the very early nineteenth century, monitorialism arrived in the colony, with a small number of free teachers trained in the method. Monitorialism likely influenced the teaching methods employed in an increasing number of schools. While there is evidence of primers and other textbooks arriving in the colony from earliest times, such as Dixon’s English Instructor, they were in short supply. Many convict and emancipist teachers operated in very small schoolrooms with variable attendance from children. It is likely that the individual instruction methods of English and Irish dame and village schools were the most common. Barcan, Alan. 1965. A short history of education in New South Wale. Sydney: Martindale Press. Barton, G.B. 1980 (1889). History of New South Wales from the records. Sydney: Hale & Iremonger. Cleverley, John F. 1971. The first generation: School and society in early Australia. Sydney University Press: Sydney. Flynn, Michael. 1993. The Second Fleet: Britain’s grim convict armada of 1790. Sydney: Library of Australian History. Gillen, Mollie. 1989. The founders of Australia: A biographical dictionary of the First Fleet. Sydney: Library of Australian History. Goodin, Vernon. 1950. “Public education in New South Wales before 1828”. Journal of Royal Australian Historical Society, 36: Parts 1-4. Hardy, Bobbie. 1985. Early Hawkesbury settlers. Sydney: Kangaroo Press. Historical Records of Australia. Series 1, vols. 6 & 7. Sydney: Commonwealth of Australia. Mcguanne, J.P. 1906-7. “Early schools of New South Wales”. Journal of Australian Historical Society, 2: Parts 2 & 3. Ritchie, John ed. 1968. The evidence of the Bigge Reports, vol. 1. Melbourne: Heinemann. Shellard, John S. 1968. “Public education in early New South Wales”. The Education Gazette, parts 1 & 2. Sydney. Smith, S.H. 1925. History of Education in New South Wales 1788-1925. Sydney: George Philip. Steele, James. 1916. Early days of Windsor New South Wales. Sydney: Tyrrells.